I've used only fishing lines as I haven't any steel wire, and buying some just for that is going to defeat the purpose of using up existing material. 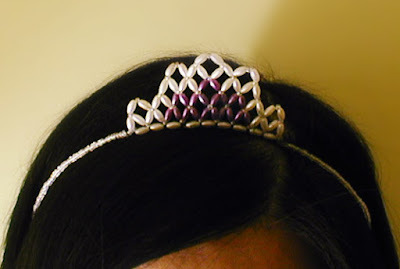 Fishing lines are soft and flexible so they can't be worn like commercial tiaras. However, they turned out to be dual-purpose: 1. to be worn as a headband, and 2. as a necklace. 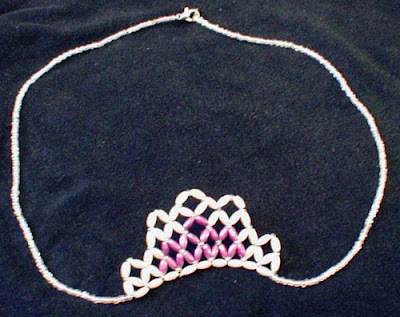 Perhaps I can make up stories about some fairy princesses whose tiaras can turn into magical necklaces that give them power, and I think the girls would like that.